Kenny Smith, riding on Whistler’s peak. This image is from 2012 Deep summer, Kenny found and built an insanely consequential chute on Whistler Peak. Half way down the chute a small chicane corner was the only thing to stop him from tomahawking down 100 meters of chunder the size of microwaves and refrigerators. I opted to wear a helmet while walking around and scoping a shot for the line. We nailed the shot first try, it’s not really the kind of thing you want to ride more than once. 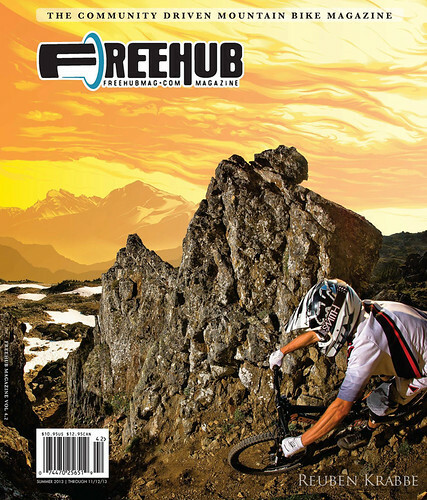 Freehub is a PNW mountain bike magazine, the issue features a story on our team’s slideshow, and my photographic career. The piece was written by my great friend and talented writer Mike Berard. And, a feature on trail builder Paddy Kaye. Stephen Matthews, Whistler Bike Park. This image is also from Deep Summer, a small piece of trail left over after Upper Whistler Downhill was re-routed. The now overgrown trail his hidden by deep grass, and has no entrance. Providing a sneaky place to create an image in the park, that looks very unlike the park. 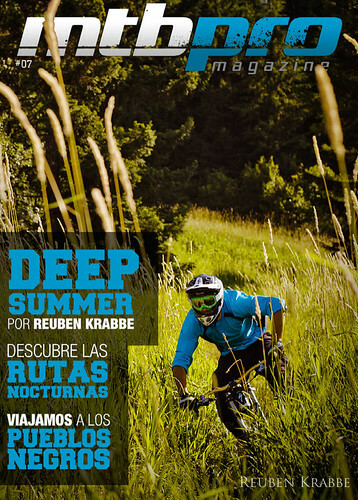 MTB-Pro is a spanish online mountain bike magazine. They also features images from our team’s Deep Summer show. In the background of this cover image is Mount Tombstone. A morbidly named mountain that is namesake for the Tombstone Territorial Park. The strangest and most beautiful place I’ve ever gone skiing. 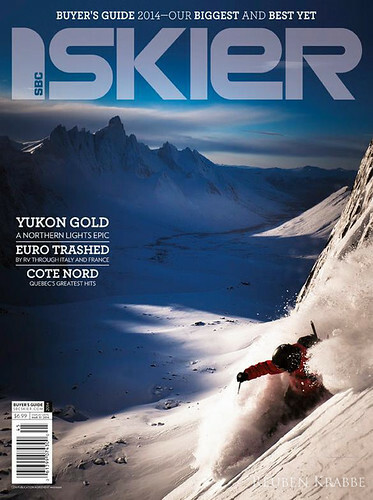 Inside this issue is the story of our trip to ski in the Yukon against a multitude of factors trying to prevent our best efforts. Skier is a great Canadian publication, the first ski magazine I ever bought growing up.